Cockapoos are lovely, fun, friendly and cuddly dogs...with an intelligent mind. A little training is the key to getting the the most enjoyment from them. They will love the stimulation and quality time with you and you will be amazed how much they can achieve. Here is our four part basic training guide that everyone could do. 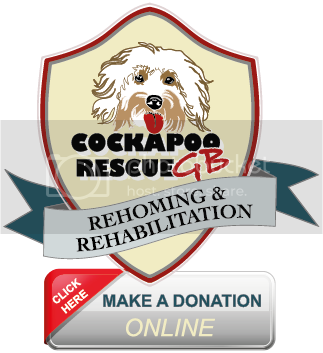 Start as you mean to go on with The Early Days, a straightforward guide to and Manners Maketh...Cockapoos and then some constructive play with Early Ball Training for Flyball and Agility Obstacle Training Step-by-Step.